"He who fears suffering is already suffering that which he fears"
Hello. If you happened to stumble to this article, you are probably like the hundreds of people in the world, including me, it seems like there is not place to give you a quick and precise description about when to use “de” “des” “de la” and “du” without requiring you to take a costly French course. Well your in luck today because I will give you a brief overview of when you should use “de” “des” “de la” and “du”. Du- It is masculine and is used when the amount is not specified and means “some”. In that case, you are stating that you do not eat ham and doesn't specify how much ham but only specifies that you do not like it. mount. In English it would be “some”. De- de is basically used in a negative sentence. De can also be used when referring to the amount of something. For Example, Je mange de la kilo de sucre. Des- The same as De and De La but is the plural form. There is a number attached to the amount and can be specific on the amount given. Wait! Do you still need to learn French at a more efficient pace? 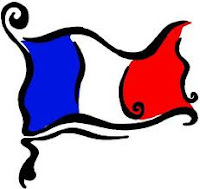 This is a great software that works with you to develop your French skills!